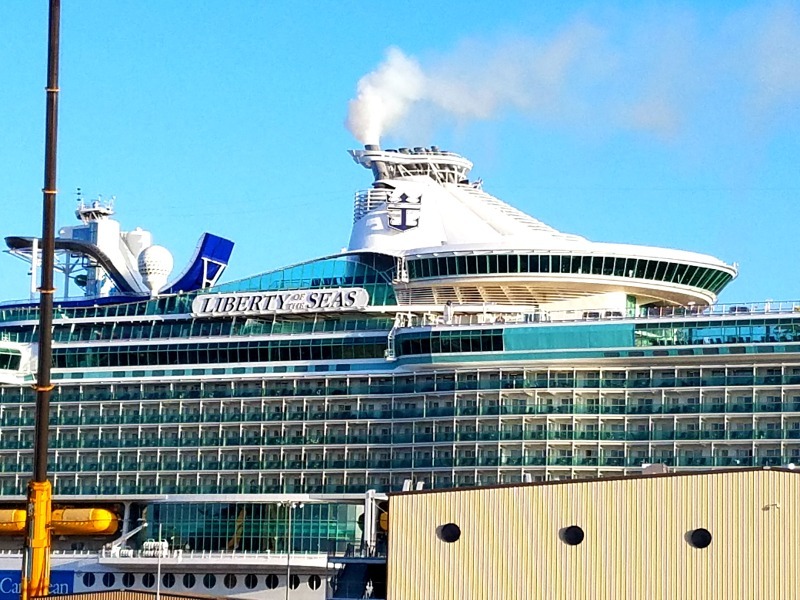 My family and I just returned from a week long cruise on Royal Caribbean’s Liberty of the Seas. This was our first cruise and we had a crazy amount of fun. We normally use our vacation time to travel to Disney, but this time we thought we would do something different and we are very glad that we did and already have our next cruise booked with Royal Caribbean. Before our cruise, we watched a lot of YouTube videos in hopes that we could get a better idea of what to expect when we went on our cruise. 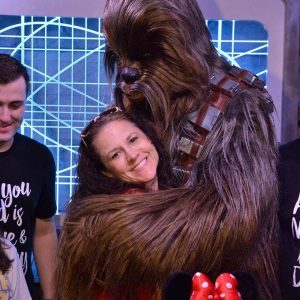 Through these videos and various articles by people that have been on cruises, we learned a lot, but we learned even more after we had experienced the cruise for ourselves. 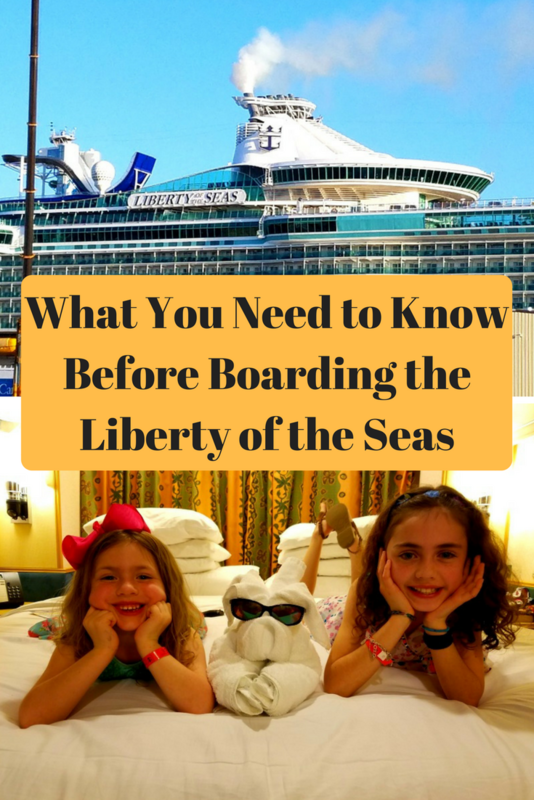 Based on our experience, I’d love to share what you need to know before boarding the Liberty of the Seas on the Royal Caribbean cruise ship. For this trip, we traveled with around 13 people. Our group consisted of 10 adults and 3 kids under the age of 12. We experienced a lot and learned even more that we will remember for our next trip. Here are some tips that I put together that you will hopefully find helpful for your trip. These tips are in random order, as I wrote them as my husband and I thought of them. Feel free to add more tips for other cruise travelers in the comments. If you do not have a passport, bring your birth certificate, i.d., and marriage license. In addition, make sure that you have this paperwork readily available when you check-in, check out, and leave the boat during its stops in the different ports. If there are not any stops that are scheduled for the day, get up as early as possible and head to the pool. The pools get very crowded and even though there are 2 levels they fill up fast, especially during the busy seasons, such as Spring Break. On the days that my family wanted to spend the day at the pool, we would quickly get ready, go to the pool area, check out our towels, and find our seats. We would then take turns and go to the Windjammer to fill up a plate, grab some silverware and head back to our seat and enjoy our breakfast outside. The one time that we did not do this, we regretted it. Wash your hands as often as possible. With so many people on the cruise ship, there are a lot of germs, so it’s important to wash your hands as often as possible. In addition, make sure to also use the Purell that is available around the entire ship. With all of these extra chemicals, your hands will get dry, so make sure to bring lotion. If you find yourself needing to get from one side of the boat to the other, in my opinion, the best way to do this is to go to Deck 5 and walk across the mall or you can go to Deck 11 and walk across the pool area. I wish I had known this the first day of my stay because I got lost and could not figure out how to get to my room on Deck 3. If you call room service and ask for cans of soda, it will cost more versus requesting them on the Room Service card that should be located on the wall of your room by the door. If you plan on sending your kids to Kid’s Club, make sure to register them the first day that you arrive on the ship, doing this will save a lot of time. If you plan on separating from your group, purchase a dry erase board for your cabin door. You can get a magnetic dry erase board or one that temporarily sticks. This is a great way to communicate with your party. If your group plans on purchasing the WIFI package, the best way that our group was able to communicate was via Facebook Messenger. Others in the group used the WhatsApp to communicate. If you choose to use either one of these apps, make sure that you add them to your phone before you arrive on the boat because a text message will be sent to you as confirmation and we were unable to get these on the ship. During the final days of the cruise, a lot of items at the mall will be discounted, so make sure that you try and wait to make your purchases. If you purchased the WIFI package, before you make a purchase, research to see if you can get a lower price on the item that you are looking at. The vendors will have name brand items for sale and will mark them as low as 75% off which in theory sounds really good but in reality is 75% off of their already inflated price. For example, while I was on the ship, I saw this beautiful watch that was being sold for around $160, but when I checked online it was being sold for around $70.00. Make sure that you spend wisely and have no regrets. Bring your entire, or almost entire, medicine cabinet just in case someone in your group gets sick. There are different medicines that are available at the General Store but it is normally triple the cost of what you would pay at your local pharmacy. I made sure to bring pain reliever, antibiotics that I never used, Orajel, allergy medicine, cough drops, steroid cream, antidiarrhea medicine, anti nauseous medicine, band aids, and more. I bought a medicine bag and added enough to get my family through at least 4-5 days worth of illness. If you plan on leaving the boat to walk around the different ports bring a backpack, 1-2 bottles of water, and snacks, especially if you have kids. Each night before our stops, I ordered cookies from room service and wrapped them in a cloth napkin or if you have a plastic bag you can store them in there. In the morning, I grabbed a couple boxes of cereal from the buffet and packed that also. This was perfect and the backpack was very useful with holding our purchases. If you plan on shopping at any of the countries/islands, make sure to bring small bills. I tried to bring only $1 and $5 bills. This makes purchasing easier, especially when bargaining. In addition, it also makes tipping easier, on and off the ship. If you need change, you can go to Deck 5 and they can provide you $5 and $20 bills in change. When you are shopping off of the boat, get ready to bargain with the vendors. Often times, they will sell you their products at a lower price but please be fair with them. If you are in a large group or if you kids that are old enough to go on their own, consider purchasing a walkie talkie that has a wide variety of channels. If you buy one on the boat, you will pay too much and it will have very few channels which will cause you to pick up every conversation but yours. If you have a large party and you plan on eating in the Main Dining Hall, consider splitting your party into 2 groups. This will get you seated much faster. The morning before the last day of your travels, go to Guest Services, Deck 5, and ask for an itemized copy of your invoice. Look over the invoice very carefully and as soon as possible, communicate with Guest Services any errors. It is important that you do this very early because you won’t be the only one doing it and you will want to avoid the line. If you plan on booking your next cruise while on board, do it early. There are travel agents in the mall on Deck 5 that are eager to help you. It gets very busy and crowded the last 2 days of the cruise. Often times there are specials if you sign up while you are on the cruise, but after you sign up, check back and see if there are any other deals. In my opinion, I do not feel like we got the best deal but we went ahead and signed up. If you do not have an excursion scheduled and you have to ride a tender to travel to the place you are going, consider waiting for the crowds to die down. It makes the ride easier with fewer people. Keep your beach towels at home. You can rent towels at the pool, take them to the beach and bring them back afterward. If you need to punch a hole in your cruise i.d. card so that you can attach it to your lanyard, Guest Services on Deck 5 can help you. If you sign up to play Bingo at the Palladium (Deck 3), you will want to know that it is expensive and there is only one game that is played, so it goes fast and can be a waste of money, unless you win, of course. With so many rooms on board, they can all tend to look alike! What we learned on this cruise is that a lot of people will decorate their doors so they can easily identify them and because it is a lot of fun! On our next cruise, we plan on decorating our door with a Texas or American theme. Some people that were in a large group but had rooms all over the ship, decorated all of their doors with pretty butterflies like this. If you plan on taking your little ones to the Kid’s Club, check the hours of operation and get them there early so that it does not get filled up. If you are planning an excursion, during these times, the Kid’s Club will watch your child all day so that you can leave the boat and your child can stay on the boat. Avoid the casino, you probably won’t win big. Set aside an amount of money you are willing to lose and then stop. Casinos on international waters are different than casinos in Vegas. The day that you are scheduled to board the ship, arrive as early as possible. The check-in lines move fast but they can get long. My family had an amazing time on our first cruise. Our experience was amazing and we learned a lot that will prepare us for our next cruise adventure with Royal Caribbean. If you have been on the Liberty of the Seas cruise, do you have any tips that newcomers need to know before boarding? Make sure to pin this post so other cruisers can benefit from these tips. Thank you for these tips! My family of four will be cruising for the first time on the Liberty this spring. Very helpful! It’s a ship, not a boat. Necessary much? I think not.